Frank Henderson may have only a short time to live, but that’s not stopping his family and his community from helping him check items off his Bucket List, including celebrating Christmas in September. 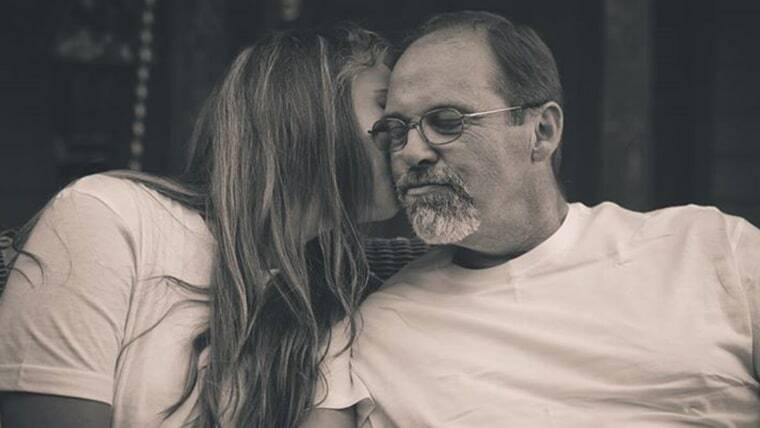 His 21-year-old daughter, Thea, told TODAY.com that her father’s terminal cancer diagnosis is inspiring him and his family to make the most of their time together. On Sept. 13, the day he was scheduled to undergo unrelated surgery, Henderson, 60, underwent a CAT scan after complaining of stomach pains. The prognosis left the family stunned: He had cancer “everywhere,” leaving him “a few weeks to a month” to live, according to his daughter. This week, an oncologist determined it may be only a matter of days, she said. A father of five and grandfather of three, Frank started making a Bucket List, which began with home-improvement projects, so that his family won't have to worry about such tasks after his death, Thea said. His wife Jan, children (Neil, Nate, Nic, Thea and Cory), and ex-wife Debbie Willis have all contributed these past two weeks, strengthening family bonds in the process. But not all of the family's goals involve home-repair chores. Once neighbors in Shoreline, Washington, learned about Henderson’s condition and his love for the holiday, they started getting into the holiday spirit — three months early. They've decorated their own houses with lights and other holiday accouterments in September to show solidarity. The holiday decorations made Henderson smile, but he knows he may miss other special occasions. In addition to coming to terms with the chance he’ll miss his 25th wedding anniversary Aug. 25, 2015, he realizes he may not have the opportunity to dance with his daughter at her wedding. The family has been moved by public reaction to Frank and his story, which has made headlines and become a social-media phenomenon. Between Bucket List moments, the family is trying to focus on making Frank comfortable and happy, Thea said.